Looking for someone who can translate your articles/blogs/contents from Hindi to English or from English to Hindi? Well! stop looking further, here I am at your service. I am Pranav! I’m bilingual and I will be your Hindi-English translator just for $5! 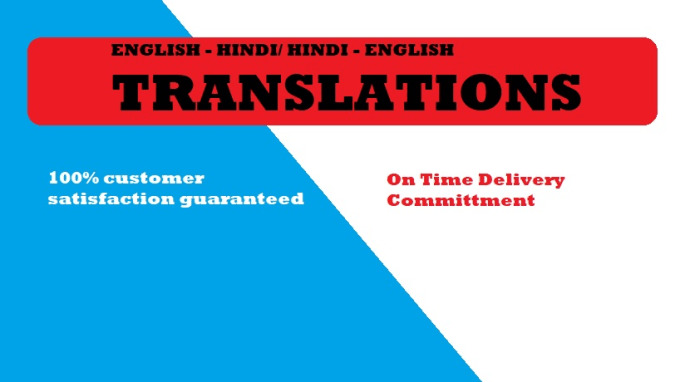 I will manually translate your text with assurance of a Grammatically Correct, Error Free ON TIME Delivery. All you need to do is provide me the content you want me to get translate. I offer translations for all kinds of texts for online and offline usage including web pages, blogs, articles, educational material, documents and essays, short stories and books . Please feel free to contact me for custom orders. Happy to be at your Service!! !